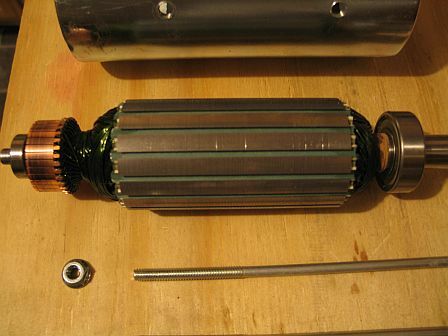 260vdc 5100RPM 5.0 amps CW Rotation - What's inside a Permanent Magnet Motor! 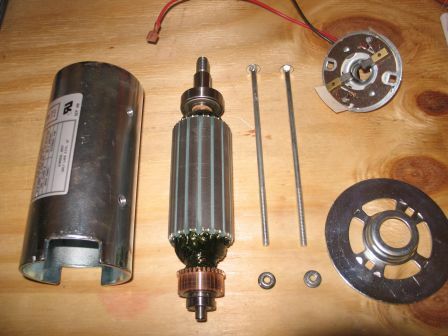 Below you will see photos of the Permanent Magnet DC Motor that I am using to build my 4ft. 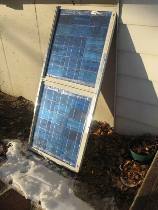 Wind Generator. 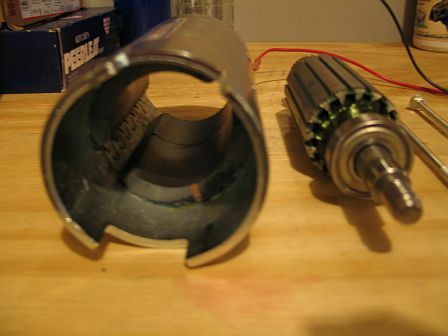 This picture below shows the armature and the bearings of this unit. 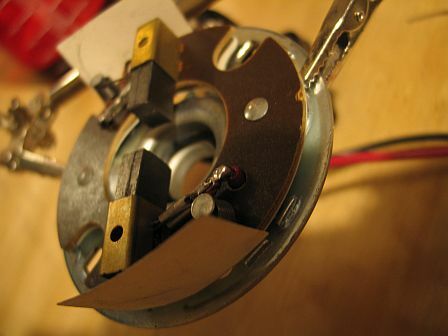 This picture shows inside the motor housing showing were the main magnets are fastened. 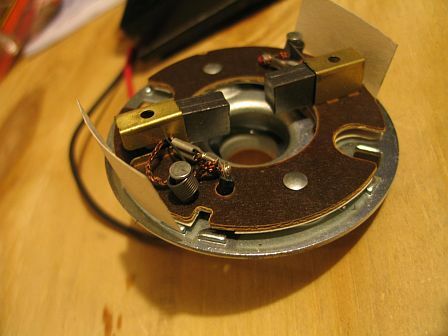 Here you will see the base plate of the motor were the wires connect to the unit. After seeing the bottom plate connection I found that the wires were only connected halfway. Half of the wires in the braid were not even connected to the fastners in the unit. 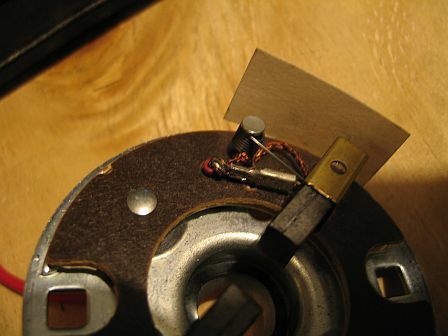 This is the connections after I resoldered them to the terminals. They are now much more solid.